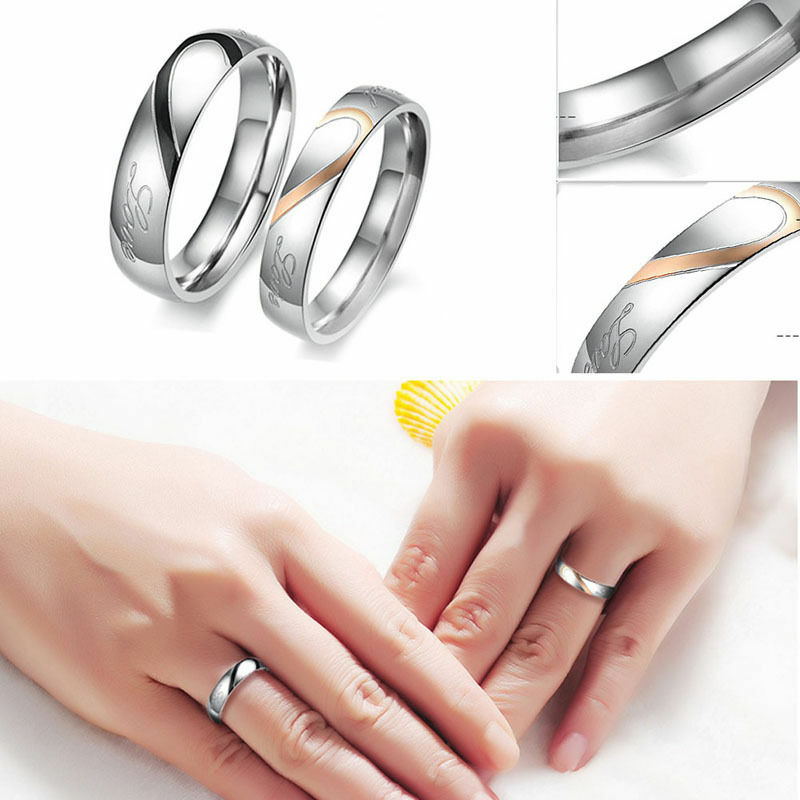 Stainless Steel “Real Love” Heart Couple Promise Engagement Ring Wedding Band US. Puzzle Matching Heart Shape Stainless Steel Real Love Promise Ring. Ring Color: black & silver tone for men ; gold & silver tone for women.